Today I decided rather than going into the gym I would head to my favorite place in the whole world, Sandy Beach in the early morning!!! 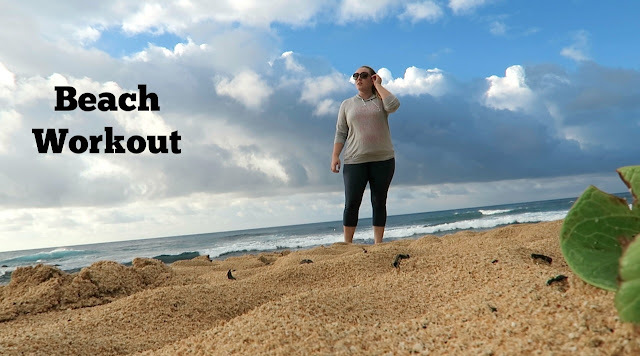 I had a whole plan of doing a full on Kayla Itsines workout, unfortunately those very ominous looking clouds behind me didn’t get the memo, so my workout lasted maybe 5 minutes at most lol, but I will say doing a workout on the sand rather than a stable surface is sooo much harder, I honestly couldn’t believe how hard it was just to do the high knees and handful of burpee’s. I would love to know where your favorite place in the whole world is, is it the beach, a forest walk, or just cozied up in your bed watching The Vampire Diaries?